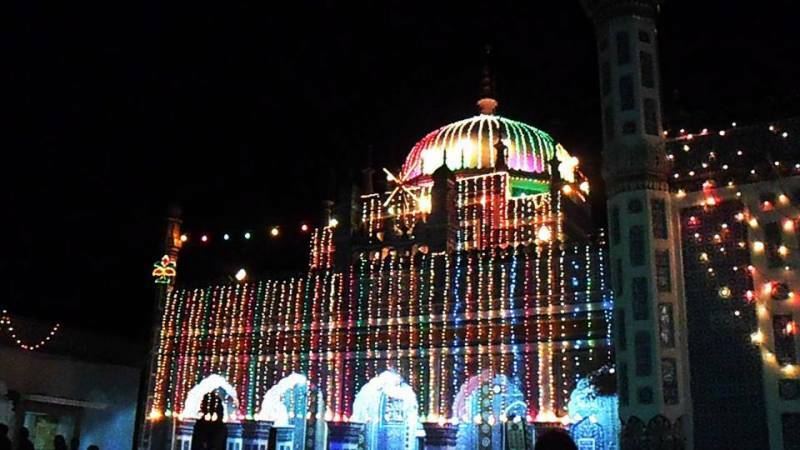 HYDERABAD: All the arrangements have been finalised to celebrate 274th three-day annual Urs of great Sufi, saint and poet Hazrat Shah Abdul Latif Bhittai at Bhitshah Town today (November 4). Sindh Governor Muhammad Zubair is expected to inaugurate the celebrations at the shrine of Hazrat Shah Abdul Latif Bhittai. The devotees from across the country have started arriving at Bhitshah Town where the private guest houses and makeshift bazaars are being set up for devotees who will stay in the town for next three days to pay homage to the saint. Different provincial government departments have also finalised the arrangements for setting up the stalls at Agro-Industrial Exhibition and cattle show, levelling the grounds for traditional Sindhi wrestling “Malakhra”, horse and bull races, cultural village, renovating the auditorium and excellence centre for musical concerts and literary conferences during the celebrations. Meanwhile, Inspector General of Police (IGP) Sindh AD Khawaja directed that foolproof security arrangements be ensured for the 274th Urs of great mystic saint Shah Abdul Latif Bhitai. He also directed that encroachments be also removed from around the shrine. The IGP ordered that police personnel be deployed in sufficient numbers besides posting policemen in plain clothes to ensure foolproof security. He also called for enhancing patrolling, snap checking, picketing and surveillance. The Matiari district administration also adopted strict security arrangements to maintain law and order and avert any untoward incident during the Urs days. Besides deployment of Rangers and police in the town, the walk-through gates and CCTV cameras have also been installed around the shrine of Hazrat Shah Abdul Latif Bhitai to check and promptly respond any untoward incident. The medical camps and drinking water stalls have also been set up at different points of the town in order to facilitate the devotees while adequate arrangements of cleanliness, street lighting and water supply have also been made by concerned departments. According to the police, around 2000 policemen and 100 Rangers personnel have also been deployed in Bhitshah Town to ensure effective security arrangements during the celebrations.